Following a disappointingly quiet July for circles, August has begun with some intrigue. Steve Alexander shared an image of this new formation; a photo sent to him by an unnamed third party. 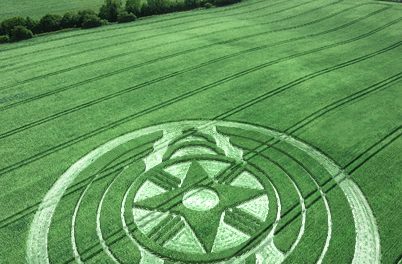 Allegedly, someone is sending false information to the [Crop Circle Connector] to upset Julian [Gibsone] and Matthew Williams. 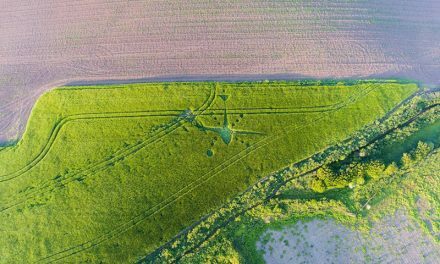 This particular circle is supposed to be low on quality, and it seems the [Crop Circle Connector] have taken this as an intentional report to lead them to a rather disappointing formation. Interestingly this formation is in a military danger zone, and the drone operators who arrived and took photos, decided not to release them. No information was released to the public regarding this formation so that individuals could make their own minds up. 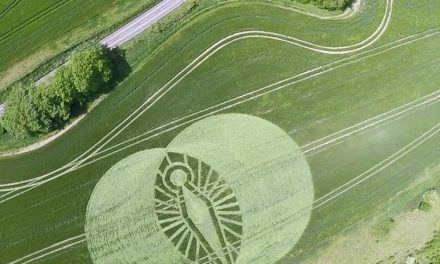 Seems like the [Crop Circle Connector] and co are judge and jury on these matters. 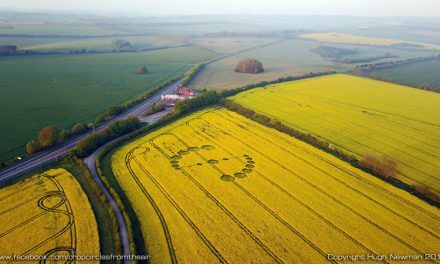 As far as The Croppie is concerned, a crop circle is a crop circle and so it’s included here. That was a strange circle. Last year I passed that thing for months almost every day on the way to and from work. I never saw it close up. 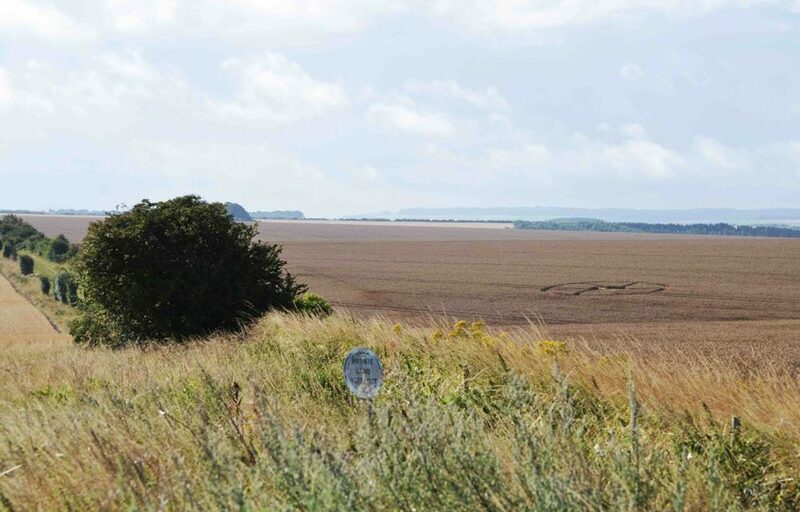 It was only 100 metres or so from the end of the military airstrip on the centreline of the runway. It had a happy lifespan, innocent and silent. No-one ever went there and the farmer left it to its’ own devices until harvest. Afterwards, it left a shadow of itself all winter that was still visible until a just few weeks ago when it got ploughed for a new crop. It was just there, existing in the field and most people probably would not even notice it from the road. In your photo it looks like it had some kind of swirl in it but who knows, you can’t fly drones or other planes there, so you could only look from the ground a long way away. I’ll keep looking for another one like it, because I don’t think anyone is going to tell if another one appears up there.